Choosing flooring for schools and classrooms is always challenging. The flooring needs to be extremely tough and easy to clean. Luxury vinyl tile (LVT) has always been our go-to choice for classrooms. Here are some of the advantages of LVT. 1. Easy to Clean. LVT is very easy to clean. You can sweep it, vacuum it, and wash it with soap and water. It doesn’t get easier than that. 3. Noise Reduction. LVT is quieter than a hard surface like ceramic tile. That means that both foot traffic and ambient noise are dampened. Noise pollution is not only a major environmental problem, but we know that too much noise has a negative impact on learning. 4. Safety. A soft flooring is safer because if someone falls, the fall is cushioned. So, if carpet is not an option, then LVT is a good solution. The same qualities that make LVT quiet also make it safer than many other types of flooring. 5. Longevity. LVT is built to last. It’s important to choose a classroom flooring that can stand up to the heavy foot traffic. 6. Design. With LVT, because it is made of individual tiles, all kinds of design possibilities are possible. Colors can be mixed and matched to create something eye-catching and original. Wake up the students with something bright and cheerful. There are also LVTs that mimic natural flooring like stone or wood. Schools are high-traffic and hard-wearing areas. Classroom floors really take a beating and have to last. 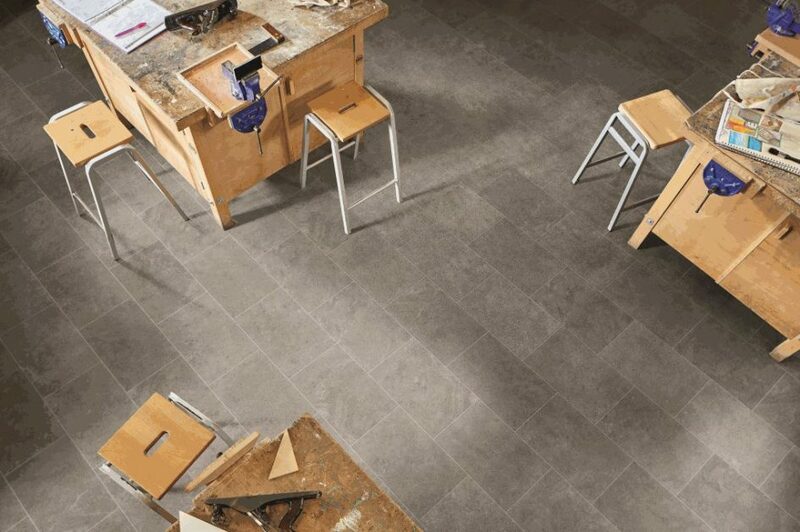 So, if you want a safe and durable solution, consider luxury vinyl tile for your classroom. There are also some luxury vinyl tiles that are made with recycled content and are environmentally friendly.